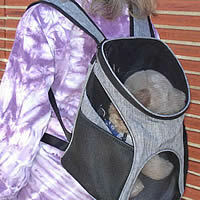 Carry your little dog in the front or the back! Mesh windows allow air to circulate freely. 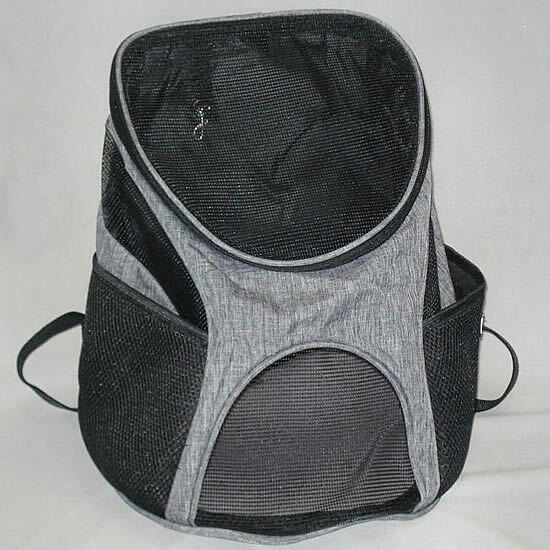 Bring along water, treats and waste bags for every need while you're on a walk or bike ride. 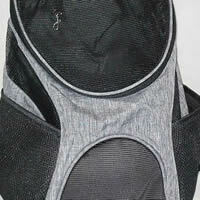 You can earn 32 Golly Gear Rewards Points on this product! 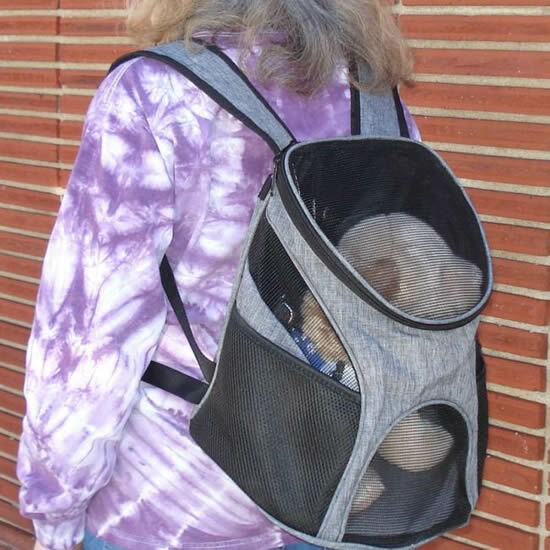 Frontpack or Backpack for your small dog! 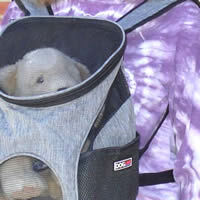 Your little dog goes where you go - on your front or your back! 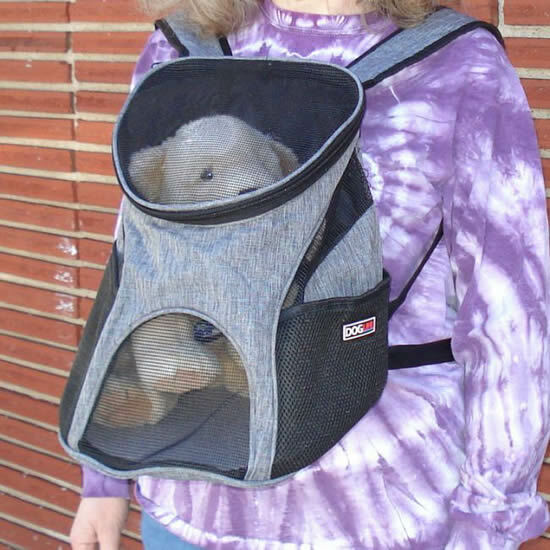 The Dogline Front & Back Carrier gives you the freedom to carry your pup on your front so he can see where you're going, or on your back, for hands-free convenience. Go for a hike, a stroll or a bike ride and bring your small dog with you, wearing the Dogline Front & Back Carrier. 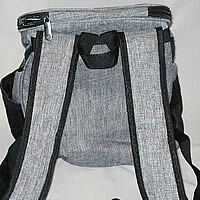 The shoulder straps are comfortable and the waist strap adds stability. 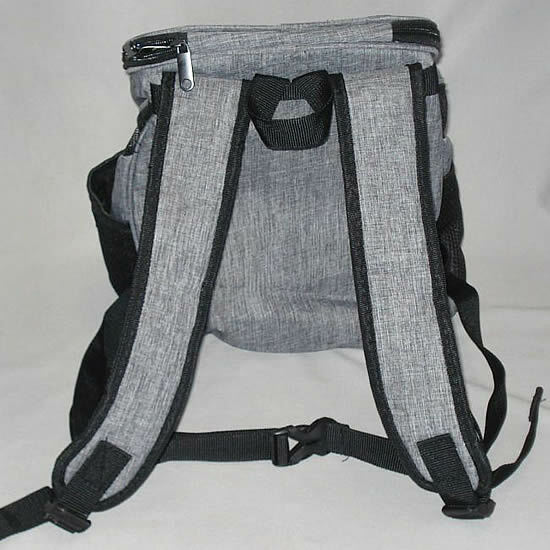 All the straps are adjustable. 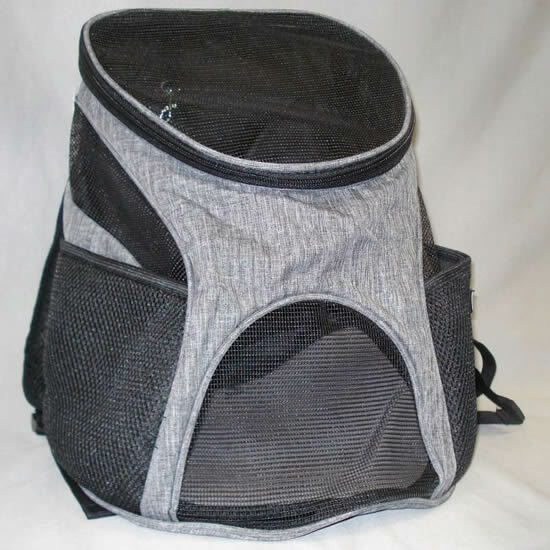 There's even a handle on the top of the Carrier. 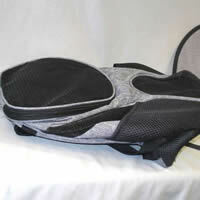 The Dogline Front & Back Carrier has a removable fleece pad that flattens the bottom of the Carrier. 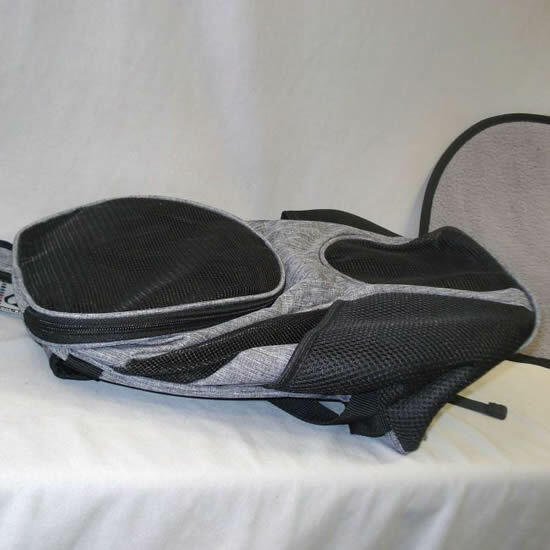 When the pad is removed the Carrier folds flat. 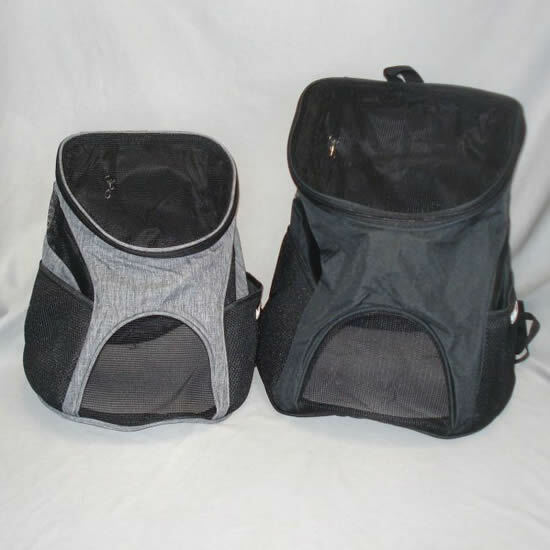 There are mesh side pockets for water, treats, waste bags and other supplies. 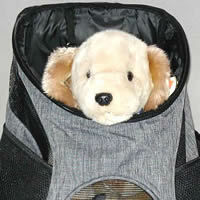 There's a toggle to secure your pup inside. 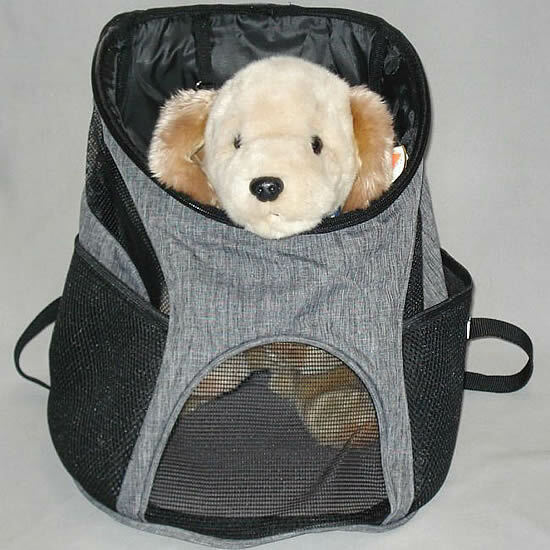 There are mesh windows at the top, front and sides for ventilation. Fran is wearing the Small size in the photo above. 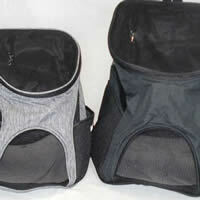 The manufacturer indicates that the Carrier is airline approved, but it's always best to check with your airline.